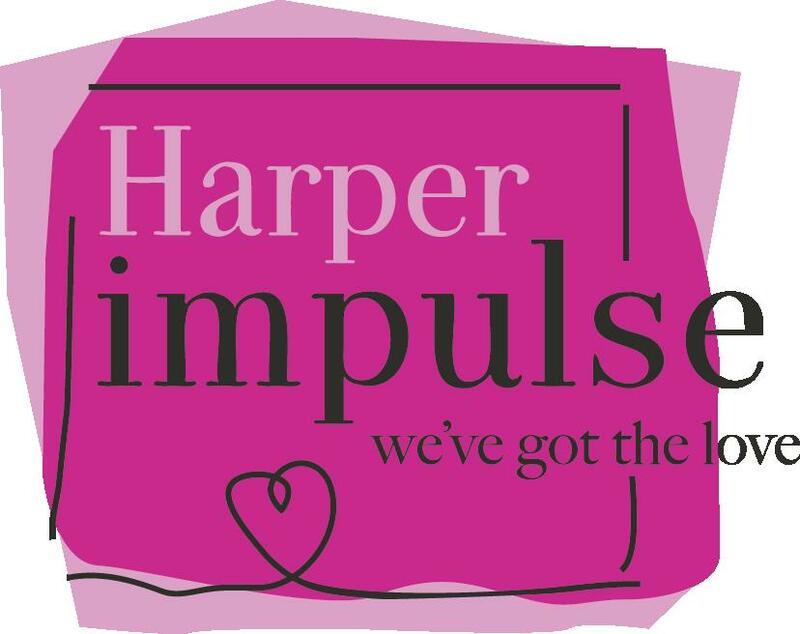 HarperImpulse is an exciting new range of romance fiction brought to you from the women’s fiction team at HarperCollins. Our aim is to break new talent from debut authors and import the hottest trends from the US, bringing you the very best in romance. Whether that is through short reads for your mobile phone or epic sagas that span the generations we want to proudly publish romance fiction that gets everybody talking. 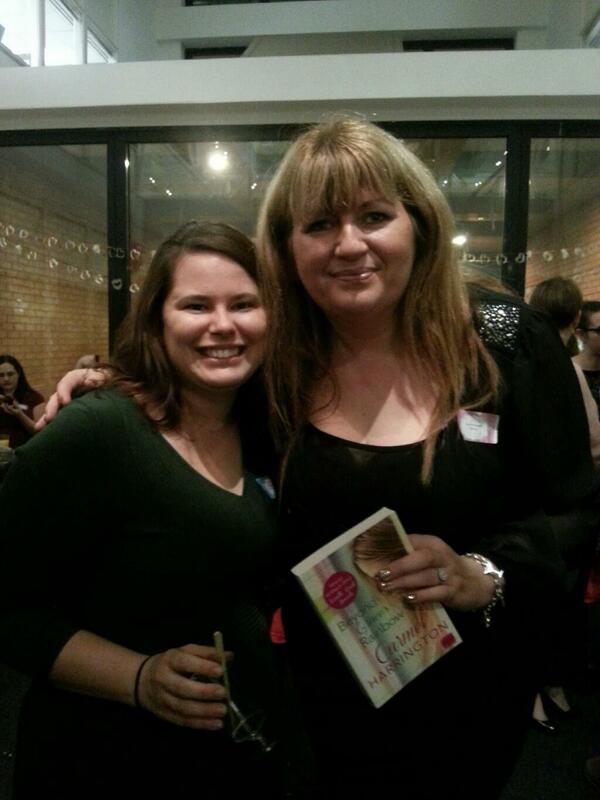 HarperImpulse is just coming up to its first birthday and to celebrate they threw a lovely party last night and, in addition to their team and their brilliant authors, they invited a few blogger friends (me! me!) out to join in the fun. And what fun it was! I got to meet some lovely authors who I’ve had the pleasure of reviewing and some that I can’t wait to read. I’m not ashamed to say that a particular highlight for me was meeting Carmel Harrington who wrote the gorgeous Beyond Grace’s Rainbow which I was lucky enough to review. She was so sweet and had such kind words–I kind of wanted to be her best friend! And it totally thrilled me that she asked if she could take her picture with me! Totally should have been the other way around! Stopping to pose for a photo with Carmel. I also met the fabulous Brigid Coady who was utterly hilarious… I can’t wait to read her upcoming collection of short stories. I also said a quick hello to the lovely Mandy Baggot who I’ve also reviewed. I was totally fan-girling on the inside! Even more exciting was meeting some of my fellow book bloggers! Sometimes I feel quite isolated with the blogging and reviewing so it was super nice to meet other lovelies just like me. So thrilled to have befriended Jessikart (twitter handle, of course!) who blogs over at Put up with Rain–would love to chat with her more! Also looking forward to chatting more with Jenny Barden, author of Mistress of the Sea and the upcoming The Lost Duchess, which I’ll hopefully be getting to review soon! 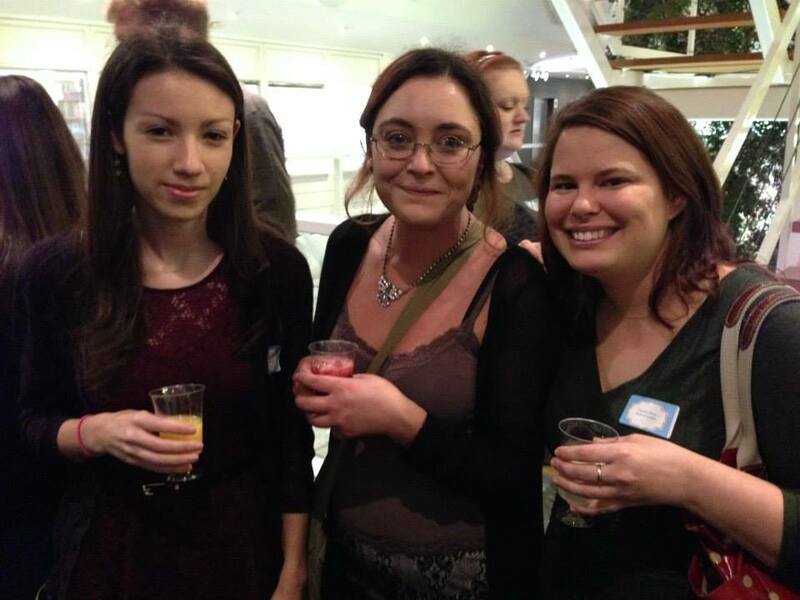 @MiaHoddell, @jessikart and moi enjoying refreshing beverages. Argh! It was just such a fab night with lovely canapes and cupcakes, champers and lots of chatty gossip. Why can’t every Thursday night be that fun??? Oh, and let me just tell you how excited I was by my goody bag! There was a brand spanking new copy of Joanna Trollope’s Sense and Sensibility, book one from The Austen Project, which I’ll definitely be reviewing over on Judging Covers in the coming weeks! 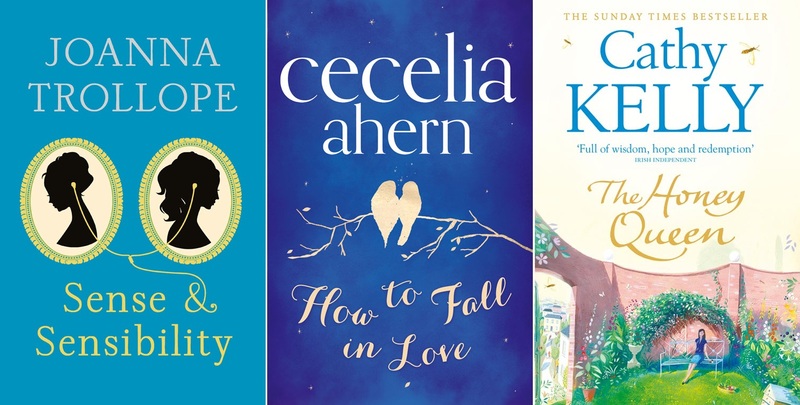 And I nearly squealed with delight (contained myself, though difficult) at finding a copy of Cecilia Ahern’s How to Fall in Love which has been on my Amazon wish list since forever. And finally, there was a gorgeous copy of Cathy Kelly’s The Honey Queen which I was offered to review a while back but regrettably had to turn down because I was swamped with requests at the time. Just look at those lovelies!! 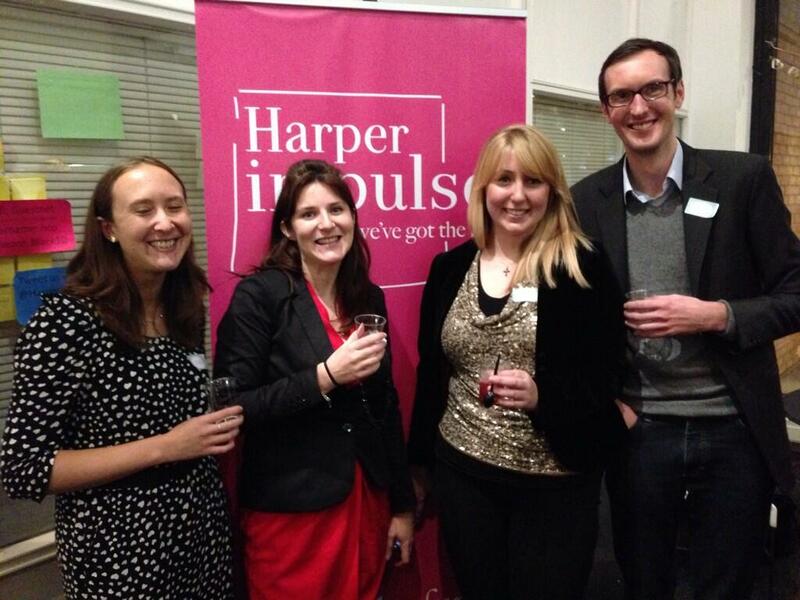 So to wrap up (and stop gushing), I just want to say a massive thank you to the team at HarperImpulse for last night’s party and goody bag. You guys are so brilliant and friendly and a joy to work with as a reviewer. Here’s to another successful and exciting year! Katie, Kim, Charlotte and Richard… the lovely team! Thank you so much for supporting Impulse! It was fabulous meeting you and definitely looking forward to the next time! You’re most welcome! Thank you to you and your team for putting the whole thing together! Thanks so much! Was a joy to chat with you. Thanks so much for sharing the news from the HI party. Those of us who couldn’t be there really appreciate it! You’re most welcome–shame you couldn’t be there! Oh wow..this is awesome. Great pictures! What a lovely post! It was a fabulous evening – just wish it had been longer. Thank you for sharing this wonderful post of the HI Autumn Fete! So glad you all had a super fun time! Hope to meet all you beautiful people next time!